Children’s Aikido class 2019. Limited registrations open for 8 – 12 year olds. Update: we have a limited number of places available for 2019 so please contact Liam now for more information or to register your child. First kids class for 2019 will be on Thursday February 14th, at 4:30pm. We are very excited to be continuing our Aikido class for children in 2019. This weekly class will run from 4:30pm – 5:20pm every Thursday during school term and is open for all children aged from 8 – 12 years. The class will be run by Otautahi Aikido’s senior instructor Liam O’Donoghue, internationally recognised 5th degree black belt, assisted by other adult members. Through practice of the non-fighting Japanese martial art Aikido, children learn how to cooperate and resolve conflict harmoniously. They build self-esteem and confidence while getting exercise and learning a good way to defend themselves. The initial focus is learning the basics of posture, movement and break falling – a really fun thing for all ages. The dojo (training room) is at 52 Coleridge Street, Sydenham. Registration. Class size is limited so registration is required. Please register by calling Liam on 021-727690 or mailto: . Please tell us if your child has any physical or emotional issues that we should be aware of remembering Aikido is very dynamic and has a lot of close contact. Parents who are adult members are welcome to join into the children’s class. Fees. We are a not-for-profit club, all of us are volunteers. Junior fees are set at $30 per term for the first child and $20 per term for each other child in the same household. Subscriptions are due on the second week of the term, direct credited into the club bank account. What to wear? To start off with, a strong t-shirt and track pants is fine. If you have a Gi (white training uniform) for them then that is best but don’t rush out and buy one until you’re sure your child is going to continue. Please ensure your child has clean body and clothes. As the class is only 50 minutes long, please arrive on time to be ready to bow in (start) at 4:30pm. 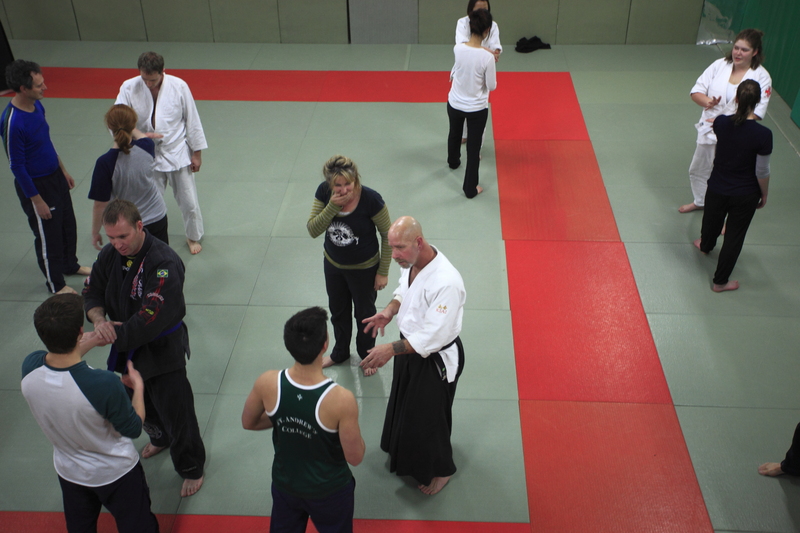 Gradings will be held twice a year for those interested.